When it comes to hiring process management, New Hampshire business owners can rely on HR Knowledge. We are a successful administrative services organization (ASO) that is committed to providing small to medium sized businesses, non-profits, and private schools throughout New England with exemplary HR solutions. Here at HR Knowledge, we saw a need for affordable HR services in companies that lack the internal resources to have their own departments. That’s why we have developed a variety of services and solutions, which our clients can utilize affordably and confidently. When you turn to HR Knowledge for hiring process management in New Hampshire, you can trust that our experienced HR professionals will help through every stage of the hiring experience. We understand that hiring a new employee is a big deal to your organization. You want to find someone who vibes well with the company culture, and who will be committed to the bottom-line of your organization. Unfortunately, when organizations don’t have internal HR capabilities, their leaders are often left picking up the slack when it comes to the somewhat daunting task of hiring new employees. That’s why we offer comprehensive services that cover all facets of hiring process management. New Hampshire business leaders can get back to growing their businesses with the help of HR Knowledge. From crafting and posting the perfect job description, to choosing and screening the right candidates, HR Knowledge will help you from the time you acknowledge a need for a new employee, until all of the appropriate paperwork is signed. 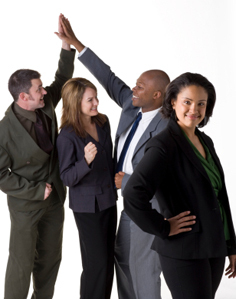 We offer hiring process management New Hampshire organizations can rely on. Our goal is always to help our clients select the perfect employees with ease and confidence. We bring value to every service we offer, and always go above and beyond to ensure that we provide a concierge-level of service when and wherever we are needed. When you turn to HR Knowledge for hiring process management, you will find that our experienced consultants and HR professionals are more than happy to help however they are needed. We will work with you to ensure that the candidates we bring in are all potential successes for whatever position you need to fill. Contact us online today, or call our office at (508) 339-1300. When searching for help in the area of hiring process management, New Hampshire residents needn’t look any further than HR Knowledge.